You’ve got a big idea for a small business. Maybe it’s a boutique pizzeria that bakes everything with organic ingredients. Maybe it’s an outdoor supplier that caters only to vegetarians. Perhaps it's a lucrative gym business that helps improve client performance. Or maybe it’s an auto body shop or farm supply store or eCommerce business. But there’s one problem: you don’t have the money to make it happen. You need to be able to cover rent, inventory, wages, shipping, return costs, insurance, web design, online advertising, utilities, and a thousand other things. Sure, you’re not running a giant corporation, but it costs a pile of cash nonetheless. What you need is money. What you don’t have is money. Therefore, what you need is a small business loan. But that raises all kinds of questions. How do you get a small business loan? What will the bank require? What can keep you from getting a loan? This post will be your step-by-step guide. We’ll lead you through the process from beginning to end. By the time you’re finished, you’ll know exactly what you need to do. One of the first things a bank will evaluate is your credit score. They want to know whether you repay your debts or tend to go hog wild with your credit card. If you’re credit score is low, the chances of you getting a loan are low, and vice versa. Your credit score falls somewhere between 300 to 850, with the higher number being better. The score represents whether you repay your loans, and takes into account everything from credit cards to car loans to mortgages. Basically, if you’ve borrowed money, it shows up in your score. When you try to get a loan, the lender is going to check your score to see if you pay back your debts. This will partially determine whether you get the loan. This is an important one, and the answer is relatively simple: pay all your bills on time! Also, don’t rack up tons of credit card debt. If you want to check you credit score, Experian and Equifax make it simple. Bottom line: you need a good credit score to get a small business loan. If you don’t have a good credit score, work toward improving yours. If you’ve got great credit, cash flow and collateral, lenders will jump to give you a great loan at an awesome interest rate. If you don’t, they’ll jump to give you a loan at crazy interest rates that aren’t affordable. It’s like the wild, wild West out there. Before you ask for a loan, take time to research the lender’s minimum qualifications. If you meet or exceed these qualifications, you have a much better chance of qualifying for a loan. If you’re trying to get a loan from the U.S. Small Business Administration, the requirements are even stricter. You’ll need to meet the business size standards (your business can’t be too big). You’ll also need strong personal credit and can’t have any past problems with government loans (like federal student loans or government backed mortgages). Each loan has its own pros and cons, so take time to figure out what sort of loan would be best for your business. If you’re having trouble qualifying at a standard financial institution, you may want to evaluate online lenders as they can be a bit more lenient. However, this leniency almost always means you’ll get a more expensive loan. Don’t just go to the large, national commercial banks. You may have a better chance for a loan at the smaller regional commercial banks. 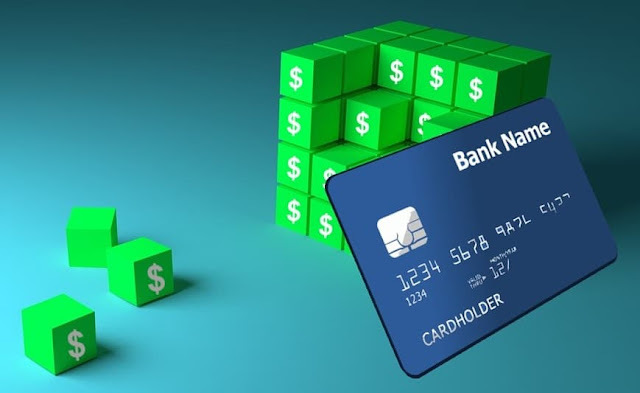 Other non-bank institutions might be options for you such as credit unions. If you are a member of a local credit union, talk to the loan officer there about your need for a small business loan. If they make such loans, pick up a loan application there as well. There are other options such as microfinance loans that make loans to startups. The bank wants to be sure that you know what you’re doing and that you have a history of solid business. They want to be sure their money will be repaid and that you have at least some idea of what’s required to run a business. Gathering all these documents can be a hugely time consuming process, and if you need a faster process you can try an online lender. Typically they require fewer documents as long as you have a strong credit rating and strong business finances. A business plan shows how you plan on using your money, how the money will increase profits, and how those profits will be used to repay the loan. A solid business plan shows the bank that you’re not simply flying by the seat of your pants, but have a clear idea of the way forward. The business plan is not only the road map that will guide the business owner from start along the way to success, but also is indispensable to prove to the potential lender that the business is viable and will have the ability to repay the loan. What should you include in this business plan? A strong business plan will give the lender confidence that you have enough money to cover expenses and the loan payments, as well as clear plan for repaying the borrowed amount. If you don’t pay back your loan, the bank still wants to get it’s money. Collateral is an asset you own that the bank can take if you default on your loan. This could be real estate, inventory, equipment, or any other asset that is worth money. If you fail to repay, the bank has the right to seize the collateral and sell it. Banks want to see you put your own money into the deal. If you are putting in a good part of your net worth they will be comfortable that you will work hard. If you get an SBA loan, you’ll need collateral plus a personal guarantee from every owner for 20% of more of the business. This means that if your business fails, your personal credit score will take a massive hit. Some online lenders may not require collateral but will want a blanket lien on your business assets. This means if your business fails they can take assets owned by your business and sell them to repay the loan. Make sure to ask questions of every lender to determine what their collateral requirements are. Getting a small business loan can seem like a complicated task, but if you follow the steps and do your research, you shouldn’t have any problems. Yes, you may be delayed a bit if you have to improve your credit score or create a business plan, but the work is worth it. If you can show a bank that you’re a reliable, smart borrower who intends to pay back the loan, they’ll want to work with you. I hope you enjoyed this article about how to get a small business loan for your new startup.